The CW premieres officially start this week and I for one couldn’t be more excited (The Vampire Diaries on Thursday ahhhhhhhhh). Here is what premieres tonight. 8/7c – CW – 90210 – Season 5 Premiere. Naomi and Max make some big plans that go horribly awry when they both get arrested and land in jail. Liam is forced to put The Offshore up for sale to pay off Vanessa and buy out her $200,000 interest in Liam’s movie contract. Navid approaches Liam about becoming his business partner. Teddy is overwhelmed by Silver’s request to father her baby. Adrianna, unaware Dixon has gotten into a life-threatening accident, has an unforgettable evening in Las Vegas with a handsome stranger, Taylor, after she vows to get over Dixon and move on with her life. Annie asks Ade to return to Los Angeles to be with an unconscious Dixon, and the two girls decide to move into the beach house together. This show is so deliciously ridiculous and I just love every minute of it. I seem to have a love for the “evil” people on most of the shows I watch so of course AnnaLynne McCord’s Naomi is my favorite. 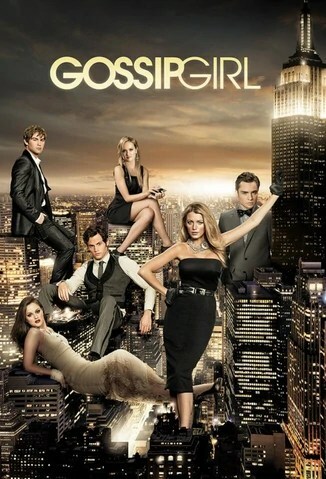 9/8c – CW – Gossip Girl – 6th and Final Season Premiere. After a brief encounter abroad, Chuck and Blair make a promise to each other about their relationship, which leaves them once again apart. Dan, with some help from an unlikely ally, Georgina, is writing a scathing tell-all book that can only mean trouble. As the sole head of The Spectator, Nate is making his own decisions and is ready to go up against Gossip Girl. As word spreads that Serena is missing, the gang bands together to find her and are shocked by what they find. This show has been downhill for a long time and should have ended about 2 seasons ago. Glad it’s ending now though. I mean it’s come to the point where I have this show on mute and only look to see what they are wearing. This show and Revenge have the best costume designers. I mean the clothes are just so amazing. 9/8c – TV One – Life After – Season 4 Premiere. Exploring the turning point in celebrities’ careers that altered their lives forever, the half-hour series highlights these moments from the point of view of the celebrity and those in their inner circle. In each episode, a celebrity reveals the stories behind the transformative events in their life, and the ways in which they evolved from these experiences. 8/7c – CW – Hart of Dixie – Season 2 Premiere. After George confesses his feelings to Zoe, she finds herself having to make a tough decision between George and Wade, leaving the two guys at odds on how to handle the situation. In search of some much-needed girl advice, Zoe makes a new fast friend in former BlueBell resident Ruby Jeffries, who no one is excited to see. Lemon decides it’s time to get her own apartment and a job, but it’s tougher than she thought. Continuing to forge ahead with her new life, Lemon proceeds to return the wedding presents, but a sudden detour to Zoe’s while holding a cake knife creates a stir with the townspeople. 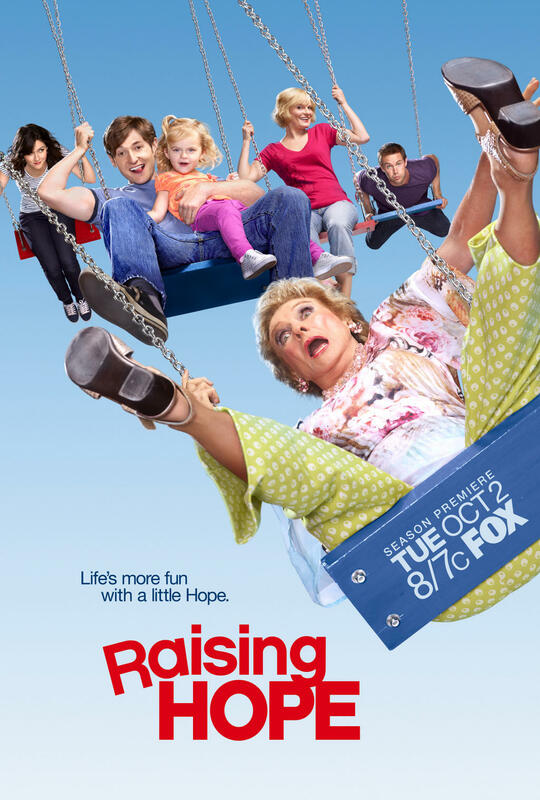 8/7c – FOX – Raising Hope – Season 3 Premiere. The Chance family meets Sabrina’s mother, Tamara (guest star Melanie Griffith), at the funeral of Sabrina’s grandmother, Nana. Nana’s last will and testament, revealed in a video she recorded before she died, has a big impact on Jimmy and Sabrina’s relationship. If you have followed this blog for any amount of time, you know I love television. You also know I LOVE FALL TELEVISION. The air begins to cool down, Starbucks brings back their pumpkin spiced flavor and all of my favorites and potential favorites come back from their summer hiatus. It’s the most magical time ever. So here I’m going to wax poetic on what returning shows I am looking forward to as well as what new ones I hope are as good as their trailers seem. Season 5 is going to be amazing. Season 4 ended with the writers giving the fans what they have wanted for 4 long seasons and they definitely did not disappoint. Season 5 will start with the morning after of Castle and Beckett getting together as well as what happens with Esposito and Beckett after they quit the force. Hopefully we will get some mending of Ryan and Esposito’s friendship. Can’t wait for this one. The new season starts Monday, September 24 @10/9c on ABC.